If you have been in an accident and want to make a claim against the other party, check out these guidelines to see how much of a case you may have and how to speak with a lawyer. The following are five situations that can result in road accidents. There may have been multiple factors influencing the accident, so make sure you know the cause and be ready to explain why. Negligence: This is when one or both of the drivers does not pay attention to what they are doing or where they are going. This can be the result of drowsiness, phone use, eating, changing the radio, or pretty much anything that distracts you from driving. Weather Conditions: If the roads are icy or it has begun to snow or rain, you can have an accident. Even a large amount of wind can affect your driving. Road Maintenance: If the road is built badly or not taken care of, it can be the reason for accidents. Perhaps there is a large pothole, and you swerve to avoid the dip – in this case you avoid one accident only to run into another. Any lack of road maintenance can be claimed as you are not to blame for the pothole, construction, or poor road signage. Recklessness: Recklessness is an accident caused by ignoring road signs, speeding, or drinking and driving. The main difference between recklessness and negligence is your intentions. With negligence, you are generally making wise decisions, but you are simply distracted for a few moments. With recklessness, you are intentionally making a major decision to ignore the laws of driving to fit your own wants. 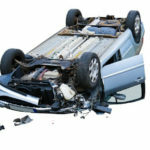 Car Malfunction: A car accident can be caused by your car ceasing to work in some way. Perhaps you come up to a stoplight, and you press the brakes but nothing happens, and you run through the light and crash. Many times a combination of multiple factors can result in an accident. Perhaps when it begins to rain (a weather condition), you are not cautious enough to slow down (a negligence issue), meaning that the accident is a result of both problems. 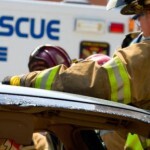 Try to objectively evaluate what caused your accident. If you simply try to point fingers in other directions but do not look at yourself, when you are making your claim, it may seem as though you are trying to deny your part in the accident. 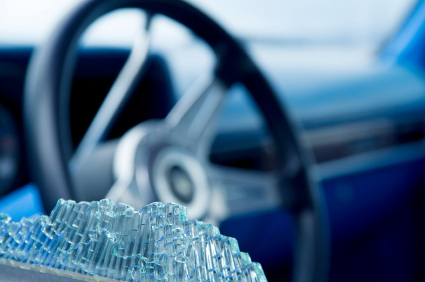 Remember that even if the accident is up to 75% your fault, you can still make a claim. Gather information such as the other party’s name and number, any insurance information, and any injury information. You want to have all your information in place before you contact a lawyer. Once you have successfully determined the factors that caused your accident, you can approach a claim lawyer at ukclaimlawyers.co.uk and have them evaluate your information. They will be able to fight your case and make sure that you get justice. Taking these steps will ensure that you are dealt with fairly when you make a road accident claim.